Snoopy and Tweety Bird dog collar. The webbing on this collar is a 1" wide. 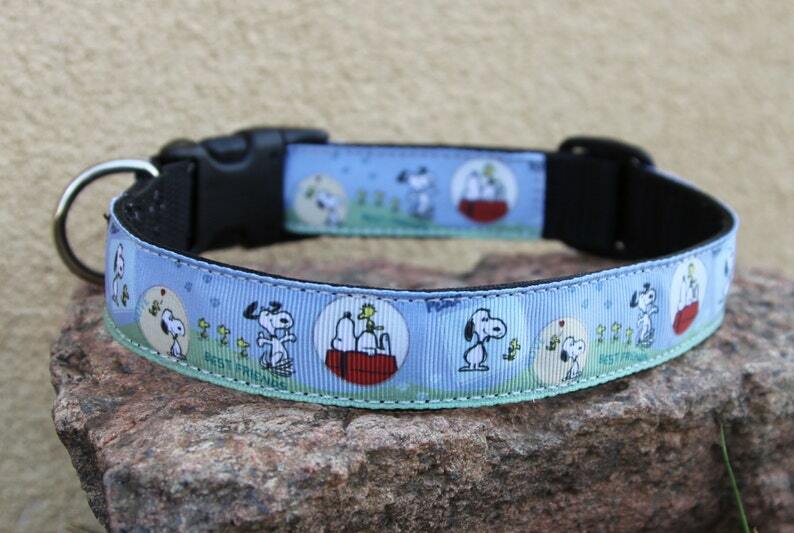 The collar is fully adjustable, has top of the line hardware and is machine washable. Hand crafted on an industrial sewing machine with your dog's safety in mind. Size SMALL adjusts from 10" - 16" (may not be suitable for very small dogs as the webbing is 1" wide). Size MEDIUM adjusts from 14" - 21". Size LARGE adjusts to 27".